I am happy to have the opportunity again to write the introductory words to this 3rd edition of DiaLog in the new format. How do you like it? Better than before? Your response and comments will be highly appreciated as well as any suggestions for changes or future content! In this DiaLog I would like to draw your attention especially to 2 of the products highlighted. For the first time DiaSys took the opportunity to exhibit at the XIV International Fair Salud para todos from April 23th to 27th in La Habana. 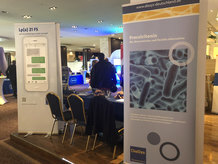 Aim was to create awareness of DiaSys as one of the leading and best manufacturers of diagnostics worldwide. Team "Bärenstark" is an inclusive footballteam of TSV 1884 Neustadt, is existing since 2016 and stands for inclusion - teamspirit - joy of football. 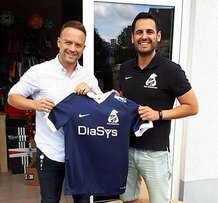 The team plays in the HBRS Hessenleague and received a donation of DiaSys for new T-shirts. We would like to give you a short overview about the implementation and readiness status of the new In Vitro Diagnostic Regulation (IVDR) due for full implementation in May 2022 respectively. Renal diseases are a global burden. Approximately 10% of the population worldwide is affected by chronic kidney disease (CKD), and millions die each year because they do not have access to affordable treatment¹. Especially in countries with a high number of elderly, prevalence is increasing tremendously². The main problem is that early kidney diseases are often under-recognized by doctors, patients and health-care decision makers because they are asymptomatic, develop slowly and begin painlessly. Early detection is crucial for prevention and rapid treatment, avoiding an expensive and stressful end-stage renal disease. Glucose-6-Phosphate Dehydrogenase (G6PDH) deficiency is the most common X-linked genetic disorder in humans, affecting 400 million people worldwide, whereas most deficient individuals remain non-symptomatic. The majority of G6PDH mutations result in red cell enzyme deficiency by decreasing its stability¹. DiaSys' O maxi, a new osmoser, offers best quality water for laboratory testing procedure. As the O mini, the O maxi is utilizing the combination of 4 different purification methods in 3 integrated steps in order to provide the best quality water for laboratory testing procedure. Such as: pre-filtration (including micro-filtration and activated carbon) followed by reverse osmosis and finalizing with ions exchanges. 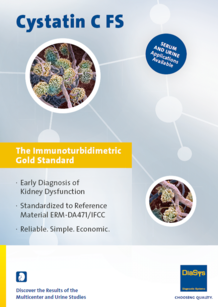 Please view our latest advertisements on renal diagnostics and cardiac diagnostics. 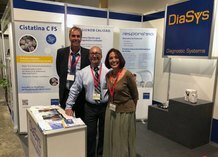 From May 3rd to 4th, 2018 DiaSys Deutschland Vertriebs-GmbH (DDV) was participating with a small booth at the 5th Laboratory Conference in Leipzig.This event has established to an educational platform for laboratory medicine. It is addressed to decision makers in laboratory medicine, especially in Thuringia, Saxony-Anhalt and Saxony.